Organic Cinnamon Bark Essential Oil (Cinnamomum Zeylanicum) - Sweetgrass&Rain Inc.
Cinnamomum Zeylanicum originates from Sri Lanka. It is a tropical evergreen tree of the laurel family growing up to 15 m (45 feet) in the wild. The tree has a very thin smooth bark with a light yellowish brown color and a highly fragrant odor. 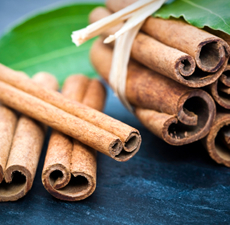 Cinnamon Bark Essential Oil has a warm, spicy scent between that of clove and cinnamon, with sharper notes.